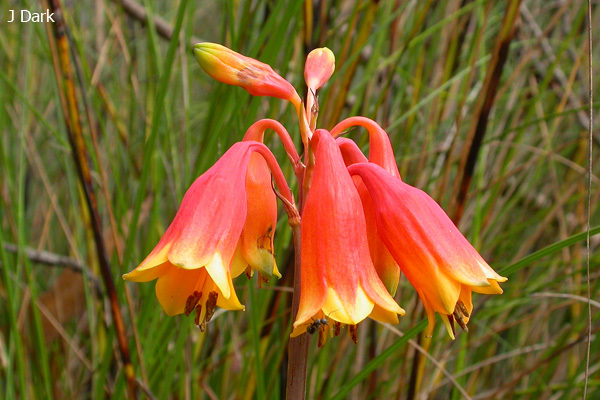 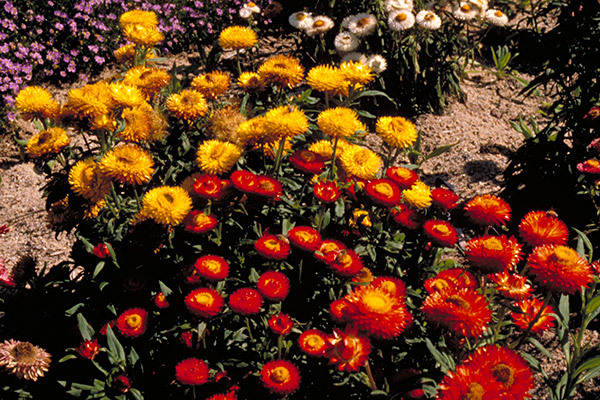 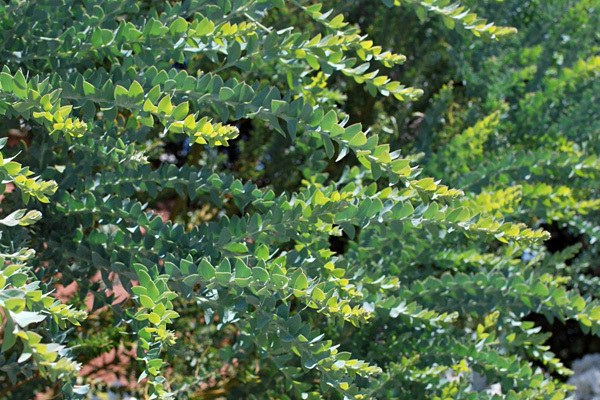 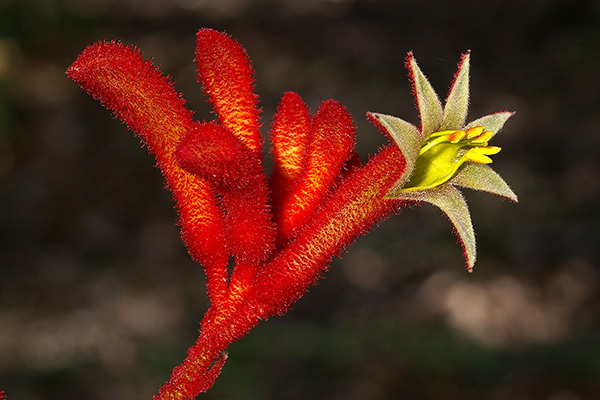 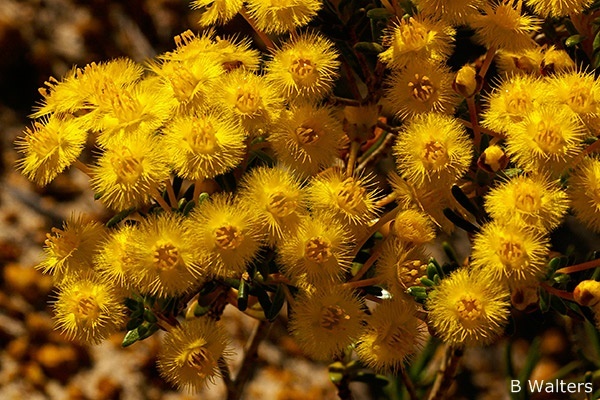 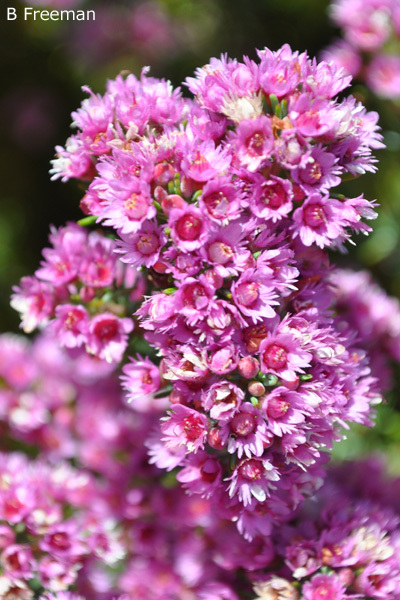 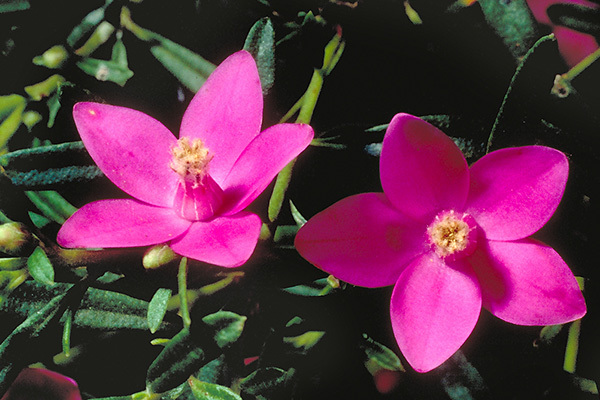 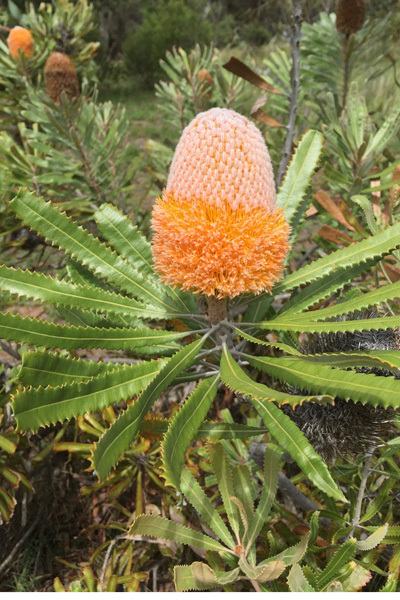 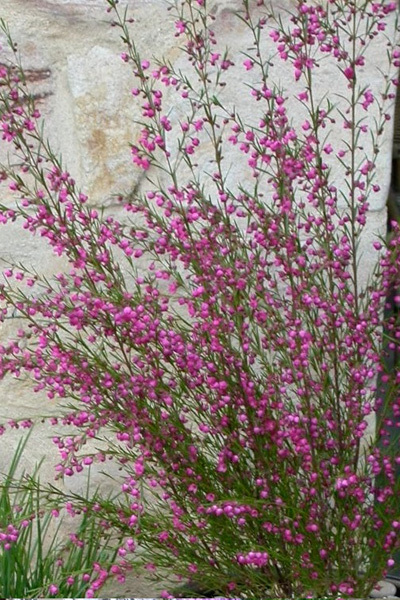 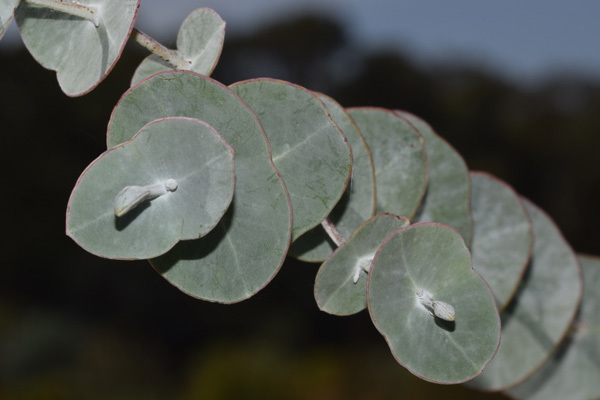 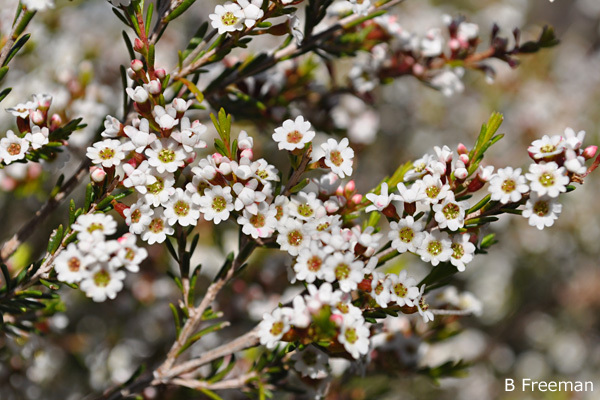 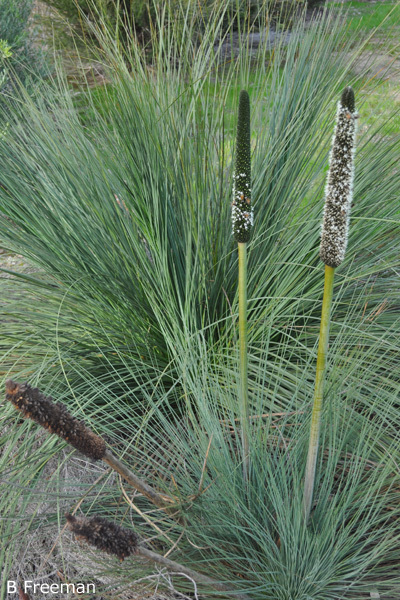 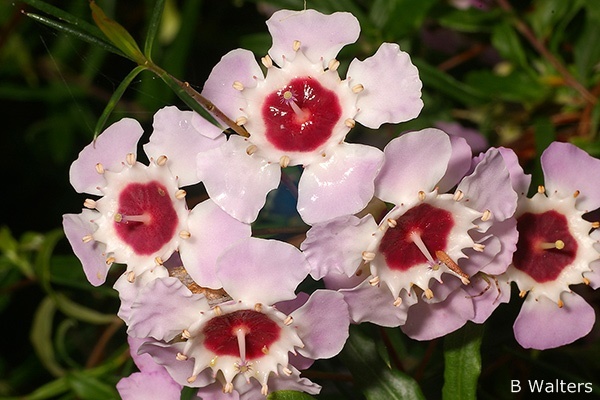 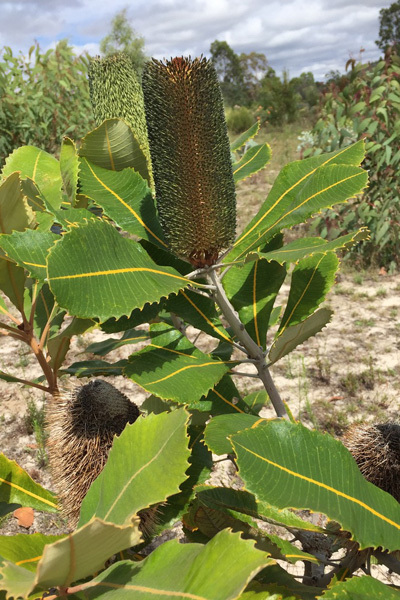 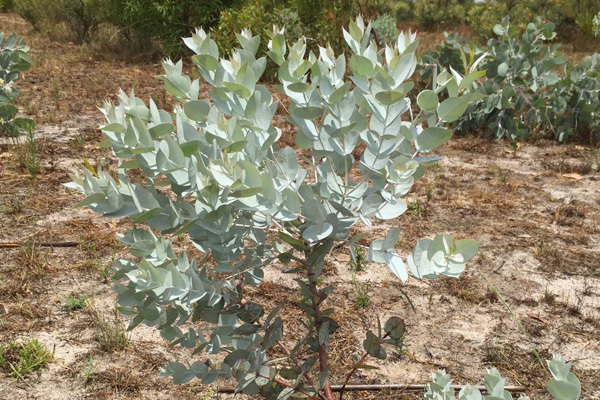 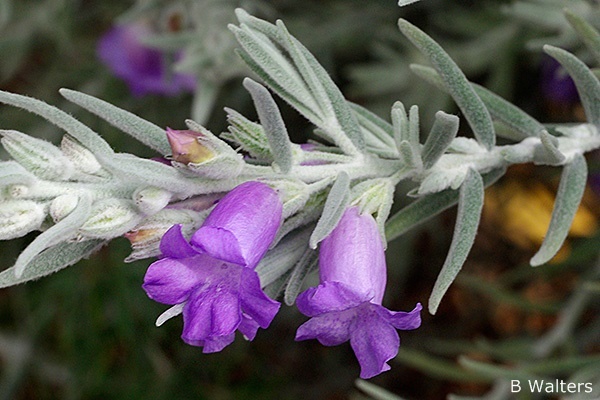 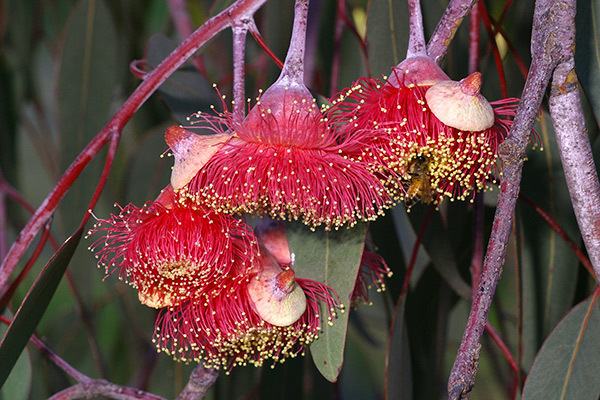 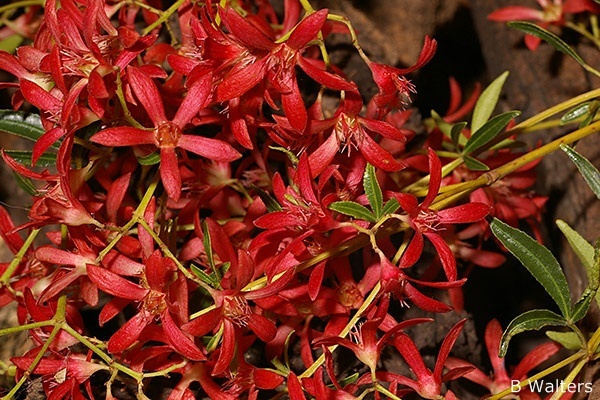 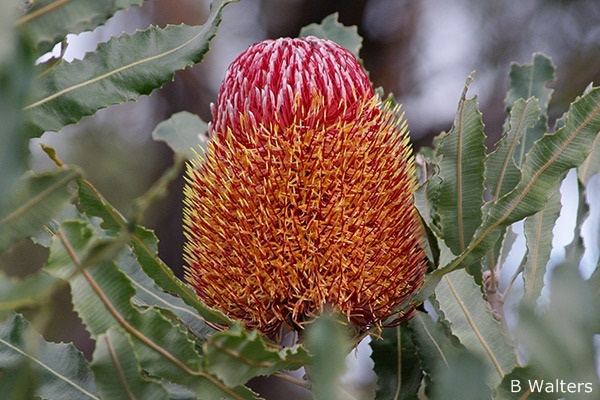 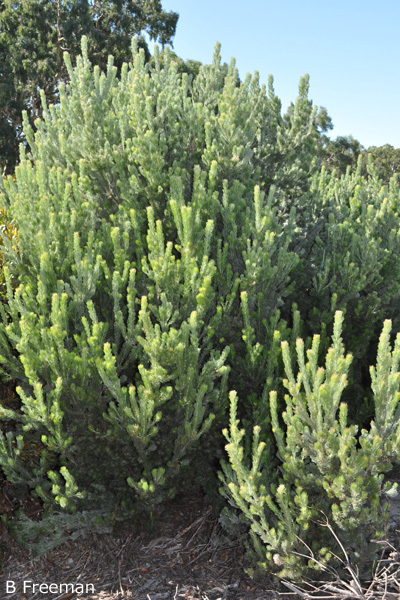 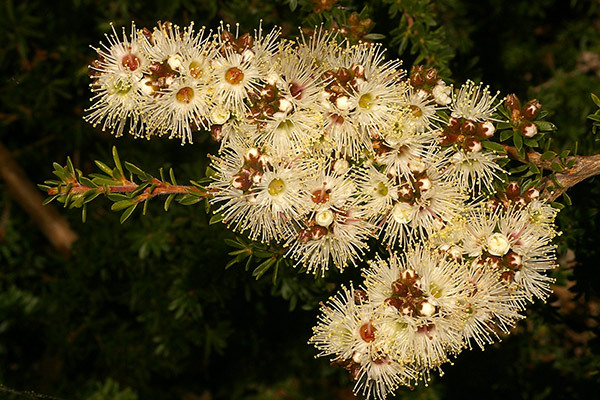 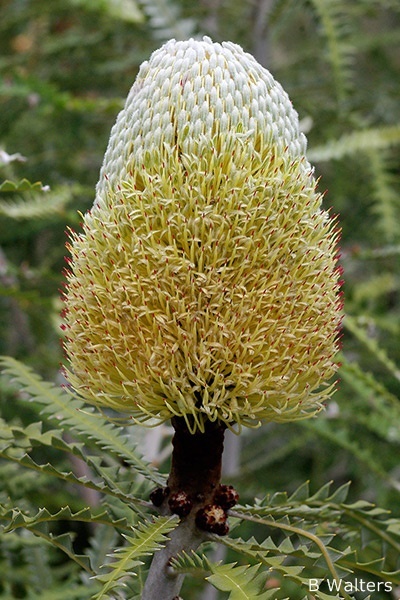 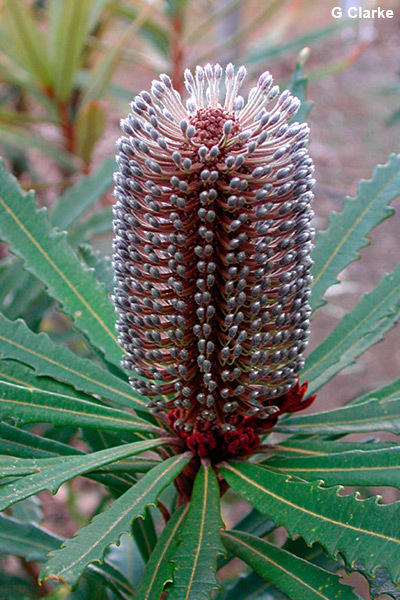 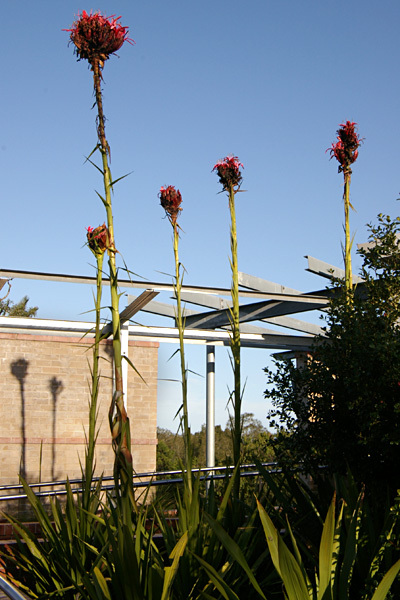 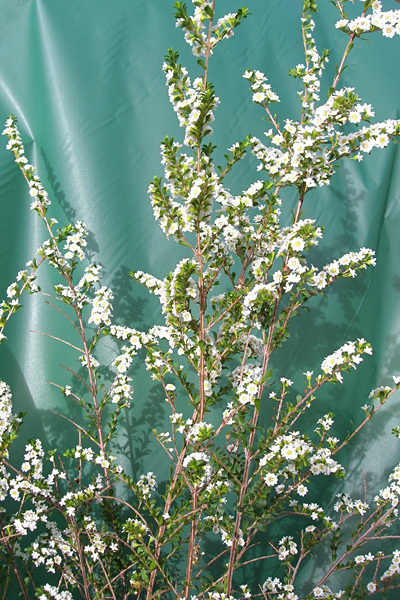 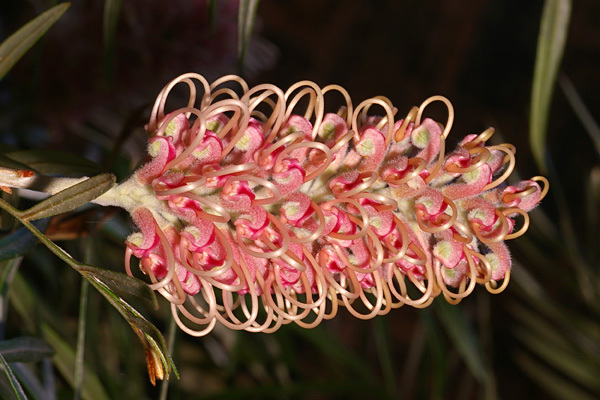 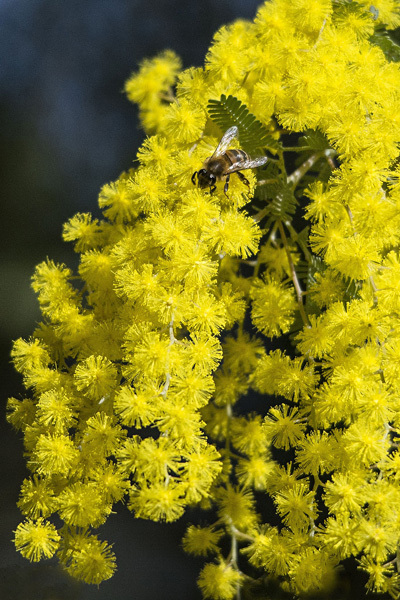 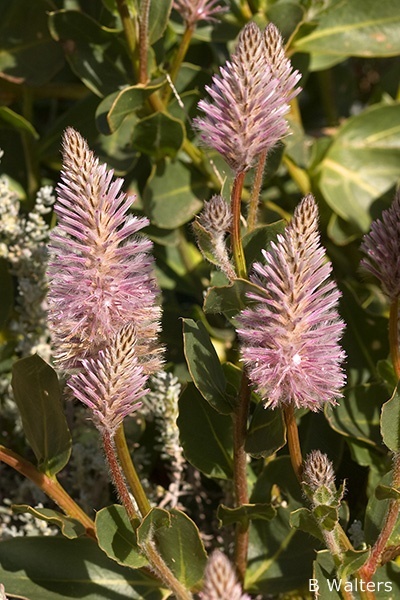 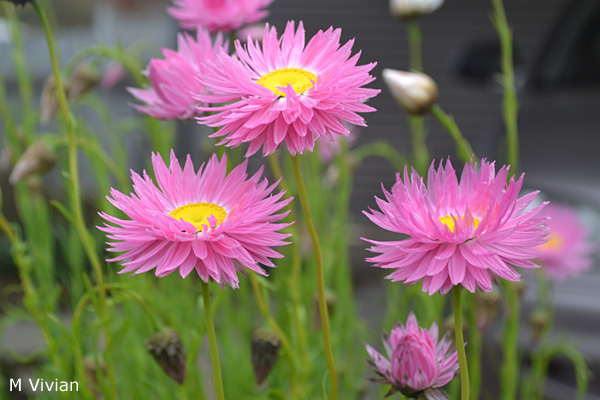 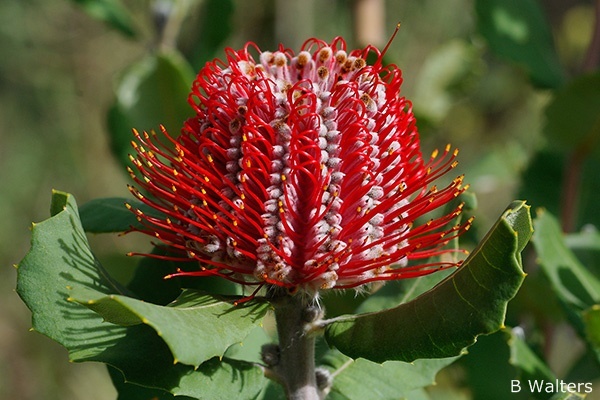 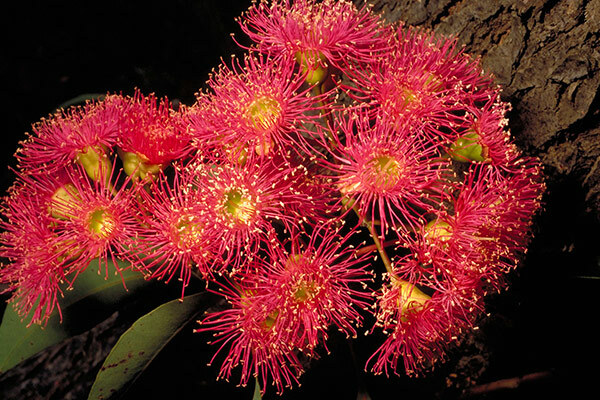 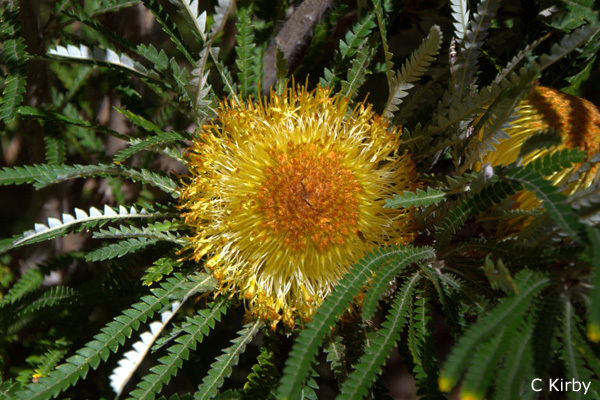 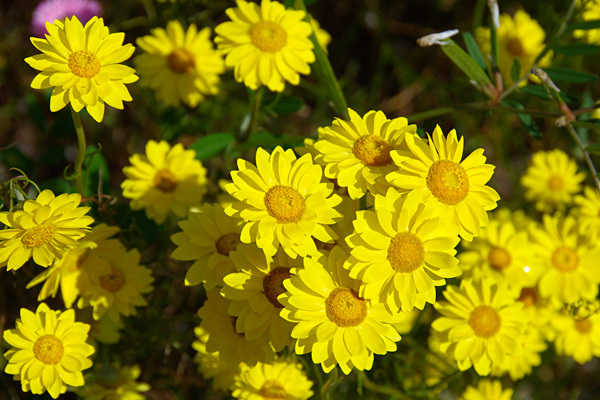 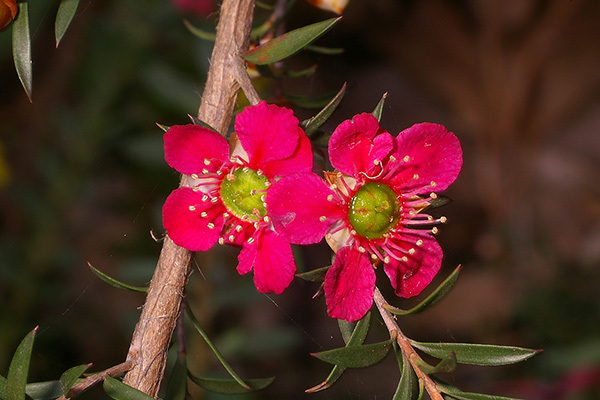 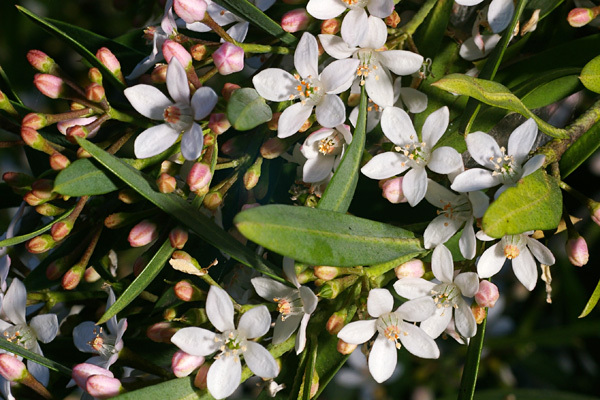 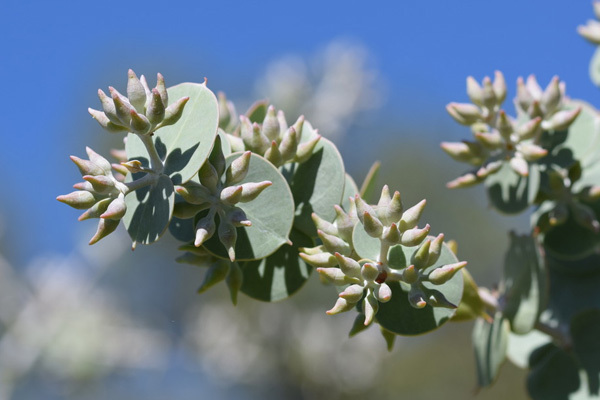 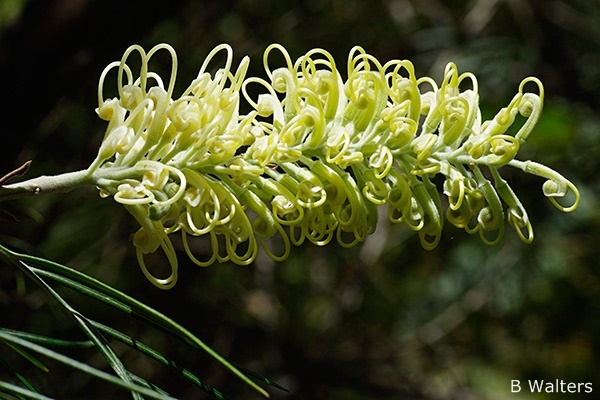 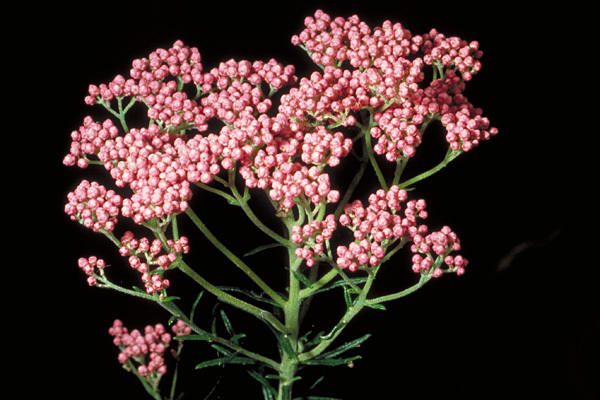 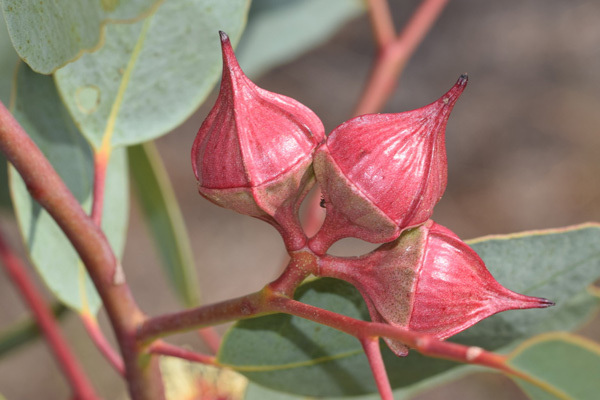 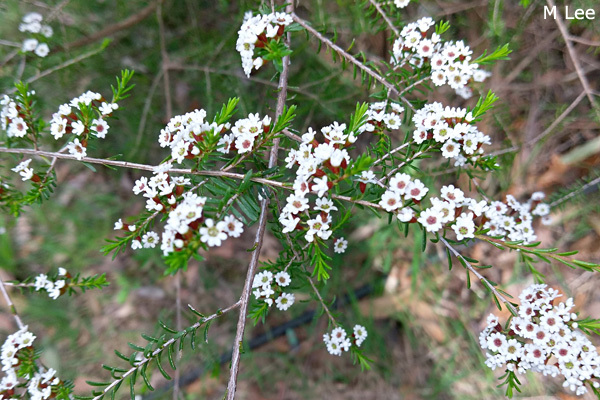 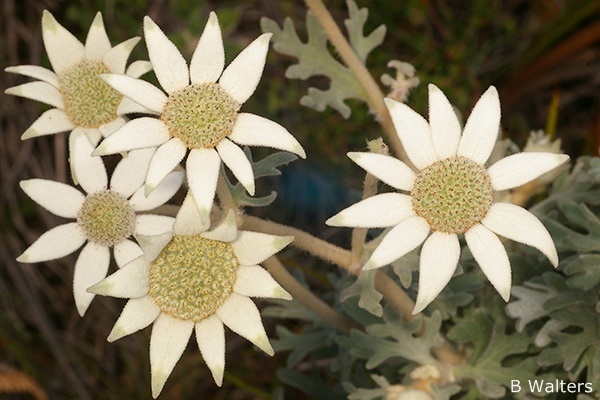 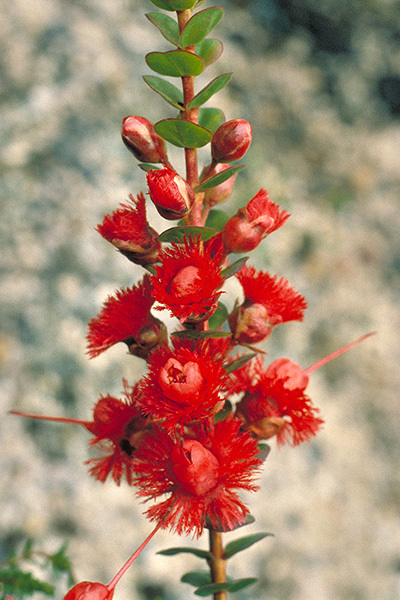 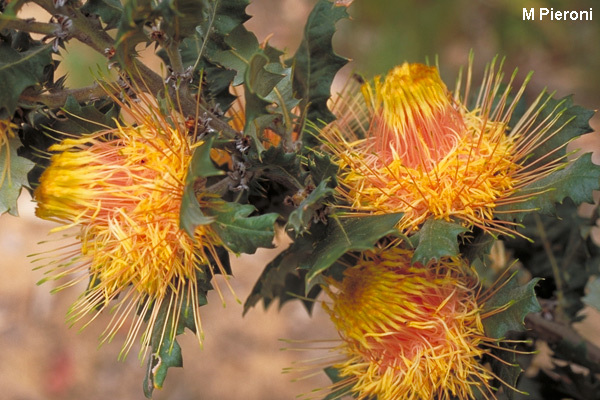 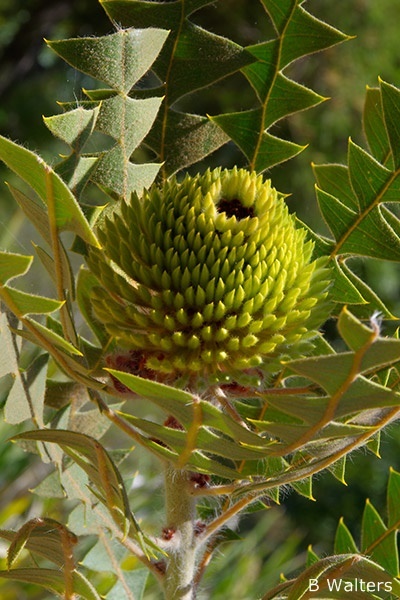 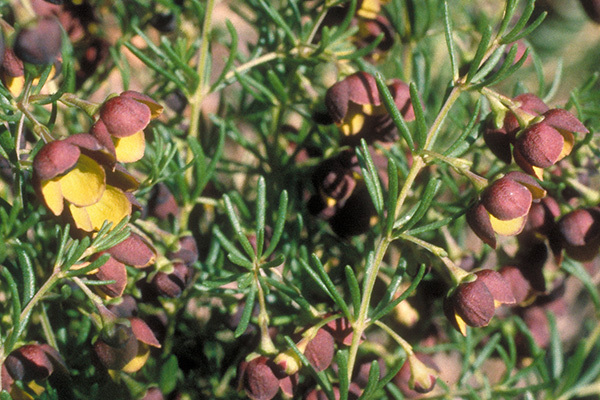 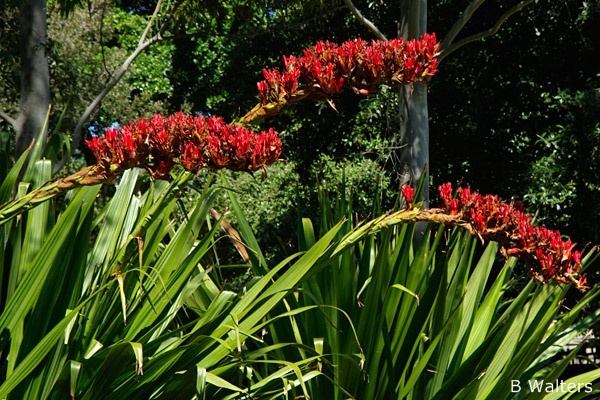 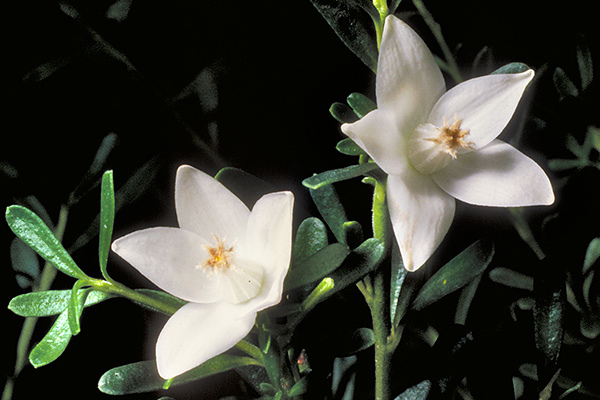 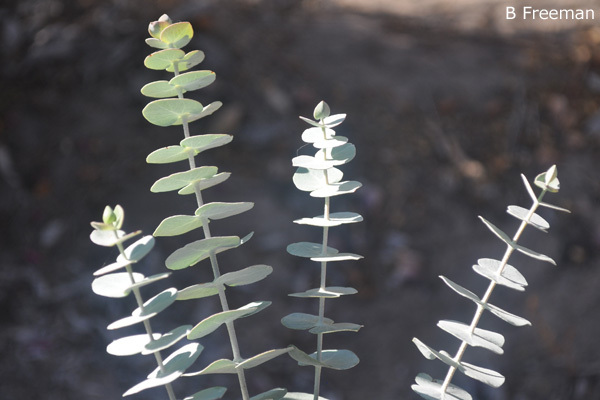 A wide variety of Australian native plants are ideal for use as cut flowers or foliage and many retain their beauty and form for long periods when used in this way. 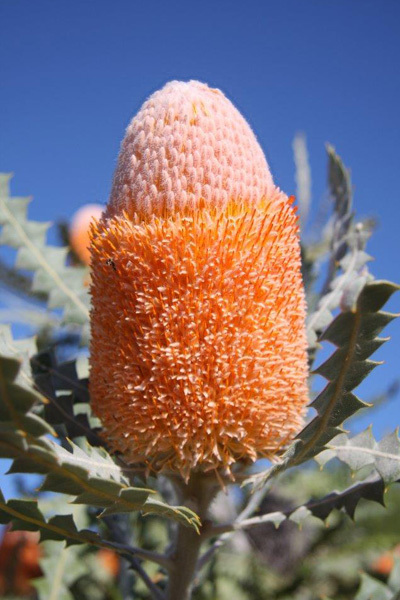 However, there is still considerable misunderstanding among members of the public regarding 'true' native species. 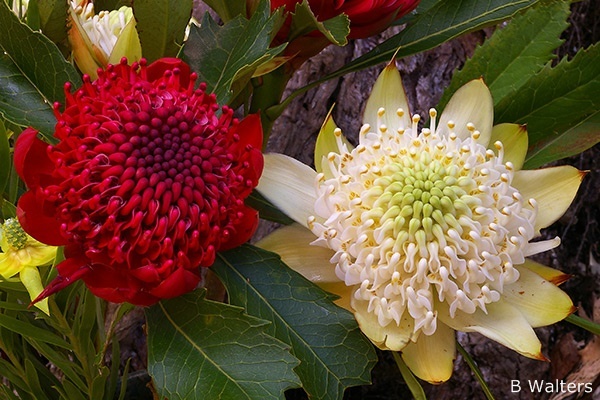 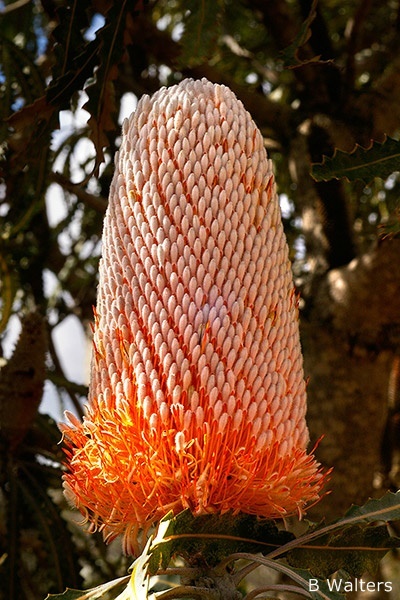 The use of plants such as Protea, Leucadendron and Leucospermum (all native to South Africa) in 'native' floral arrangements contributes to this confusion. 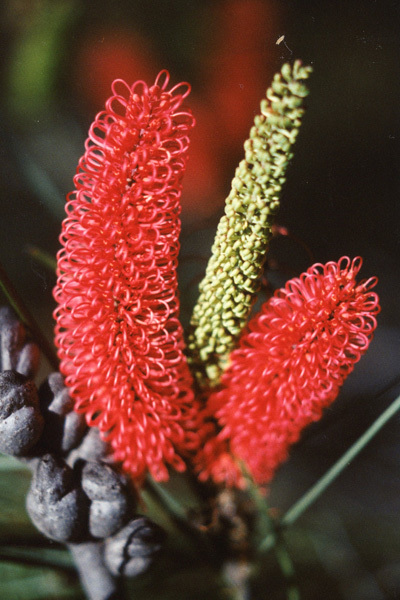 Tables 1 and 2 below illustrate the many true Australian native species, hybrids and cultivars that are useful as cut flowers and/or foliage. 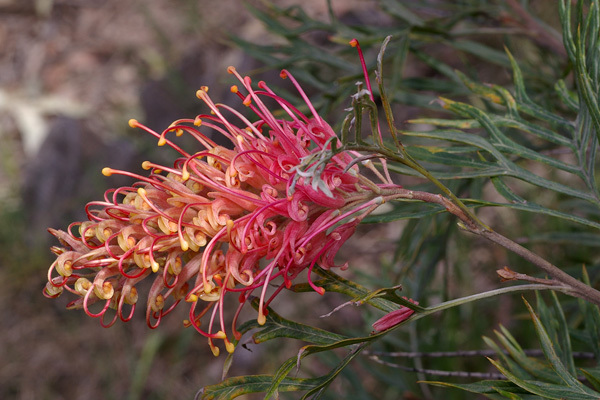 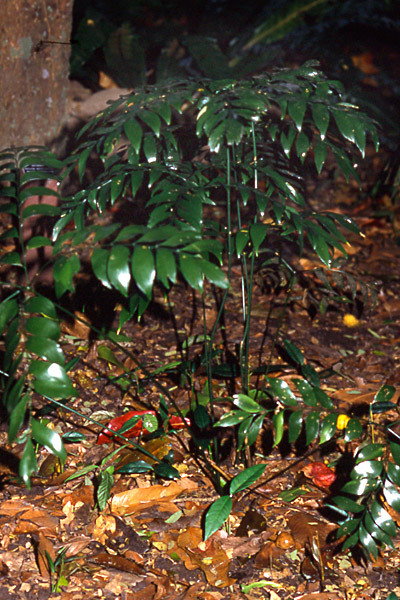 Table 3 lists several exotic species that are often mistakenly sold as Australian natives. 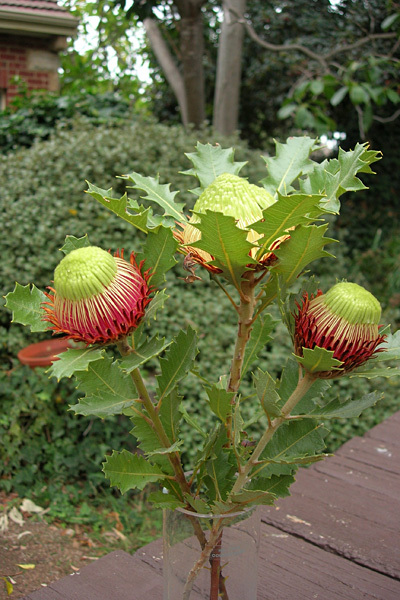 Please note that this page is a 'work-in-progress' and it will be updated as new information comes to hand. 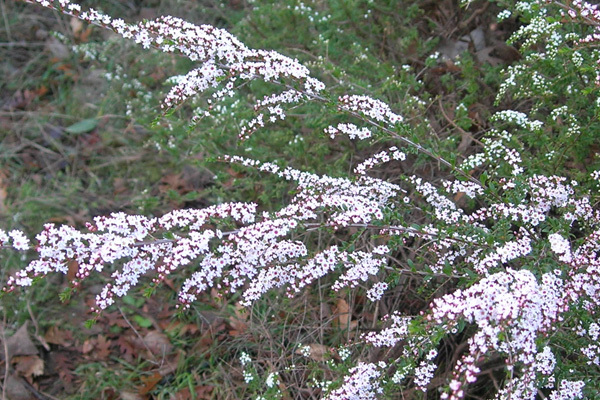 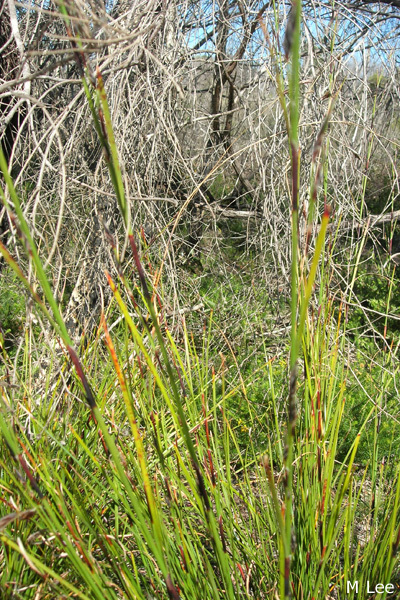 Erica sp. 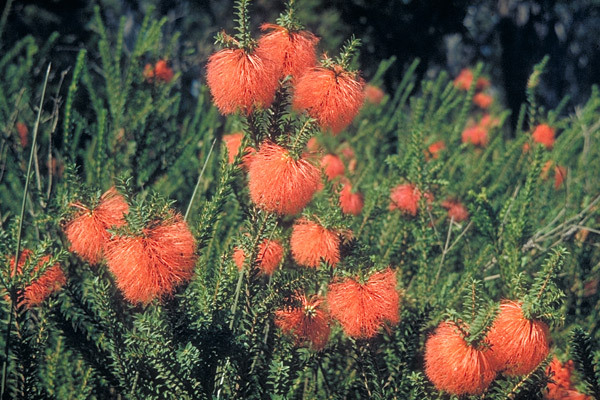 Heaths Red, pink or white Africa, Madagascar, Europe.